Finding a new television that suits your needs perfectly is difficult; there are many choices available in all sizes and price ranges. Add in a wide range of features from which to choose–internet capability, HDMI, surround sound, and progressive scan among them—and the choice can be downright perplexing. Checking reviews will help you narrow down the choices and decide which features are most important for you and the way you will use the television. The LG37LK450 is one of the most popular and highest rated televisions in this size range. It is an inexpensive LCD version with 1080 pixels and multiple controls to fine tune the color and picture for your lighting. It has a matte screen to handle glare well and a menu system that is easy to use. The HD picture draws high marks, especially with the ability to “tweak” it to your liking. The picture is good even on the non-HD channels, and the only complaint was that the black tones were not dark enough. Sound quality out of the box is very good, but it also has some adjustments to customize it more to your setting and to your liking. Adding peripherals like a DVD, Wii, Blu-ray, and surround sound systems is simple with the setup and menu system available. Out of the box and setting it up within just minutes, HDMI cables make it easy to be watching your favorite show in no time at all. Several reviewers noted the lack of much “style”—so if you desire something flashy, you might not be happy with this one. 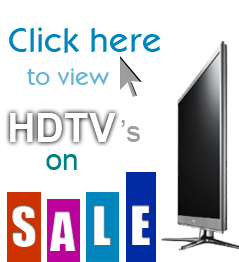 Overall, this is a good option for someone looking for a basic television set. This series of Samsung televisions has identical specs, with only the sizes differing; the LN37D550, and LN32D550 are the specific model numbers reviewed. These sets are inexpensive but perform well for entry-level televisions that are non-LED. The screens offer great pictures with a matte finish and ample shadows and deep black coloring, and uniform color throughout. For non-LED model TVs, the picture is extremely good, and much better than similar competitor’s offers. This series of televisions also offers significantly enhanced styling when compared to other sets in the same price range; it is among the best in class for styling and for easy connectivity and media file support. One point made by many reviewers was that the color accuracy was not up to par, and no adjustments were available to correct it. Overall, this series of televisions with a good range of features, excellent styling, and good picture quality, will appeal to many people interested in a budget television option. The Sony NSX-32GT1 has integrated television and Google TV software to make it easier to access video sources and other media with a search bar, Chrome browser, and built-in Wi-Fi. This television has a full QWERTY remote, supports html5 video and Flash, and can control content from a satellite or cable box, as well as the television and other peripherals. It also allows you to download apps from the Android Marketplace. This television gives good color performance, though some users noted light black levels and some problems with uniformity. Analog television connectivity is sparse, and some major content providers are blocking Google TV—CBS, ABC, and Hulu among them. The interface with this television seems geared toward users with significant technical experience, and the app selection is limited at this point. This set has a sleek design and many bells and whistles to thrill the tech-savvy consumer. The ability to use Google Chrome on your television opens up the entire internet world (minus those sites that are currently blocked) on your set. The disadvantages are similar to those that PCs suffer, bugs and crashes are possible. Overall, the combination of internet connectivity and television is awesome; there are some growing pains but Google and Sony are leading the pack with these offerings. The Panasonic Viera televisions, including the Panasonic Viera TC-L37E5, a great 37-inch LCD TV with 1080 pixels, offer great quality pictures and an easy set up. With four HDMI ports and a VGA PC port along with two USB ports, connectivity is simple and straightforward. It is Wi-Fi compatible, but you must purchase a separate LAN adapter. The Viera is relatively low cost, and some people suggested that its cost equated to lower quality in the audio and the fact that there were few picture adjustments. Although it is not an elite quality surround-sound set, its ease of use noted by many of the reviewers makes it a good basic unit for those who are not looking for a totally state-of-the-art experience. Panasonic Viera televisions seem to be among the most popular LCD backlight TVs with consumers, most likely because of its low price point and excellent customer service. Overall, this good basic television offers a lot of connectivity and integrates easily with the internet. Once you have decided what features are important in your new television, you can narrow the choices down to four or five different units that will work. Then read online reviews and specification to pick out the television that is compatible with your needs. Some sites offer comparison tools that are handy to review them completely.